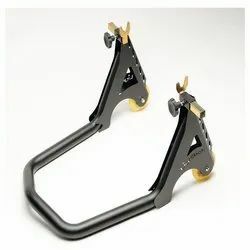 Buy Online Motorcycle Center Stand at best price. We offer a complete range of Center Stands for all Motorcycles Brands like Hero, Honda, TVS, Yamaha, Bajaj, Suzuki, Royal Enfiled & Mahindra. 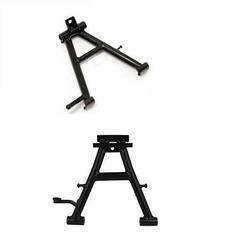 We are dealing in wide range of Rear Stand. weight over 1200grms with genuine type paint. Manufactured using superior quality stainless steel, our center stand is highly durable and can easily be fitted into scooters ands bikes. They can bear the weight of the vehicle and provide it an erect and easy stoppage.